This is definitely the largest photographic piece that I have ever created. I call it "Bed of Blades"(3' x 5'). It was a test of craftsmanship building the laminated-wooden blocks for the photos, a process that I have perfected over the past couple of years. "Ba Nan As"(2' x 3') will also be shown at Lot F Gallery for their upcoming show entitled THREE. 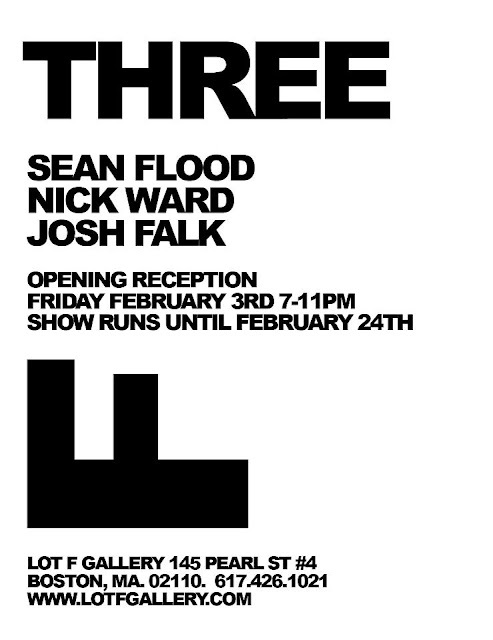 Which will also feature local artists Nick Ward and Sean Flood.